with HMI function on web server. Available with integrated radio modem. Development environment for PLC applications with textual and graphic languages according to IEC61131-3 standard. The multitasking operating system allows an efficient allocation of CPU resources for a real-time response of the controlled processes. 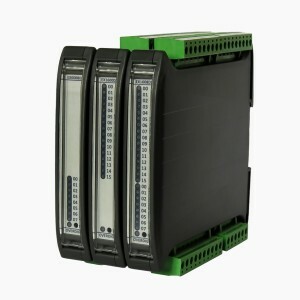 The connection of I/O modules via RS485 and CANopen fieldbus is designed to simplify installation and reduce wiring costs. The design of graphic pages with CoDeSys tool and the integrated web server allow the creation of an HMI interface for supervision and control of the automation. The integrated radio modem of PLC makes it possible for remote monitor systems where a cable Internet access is not available. 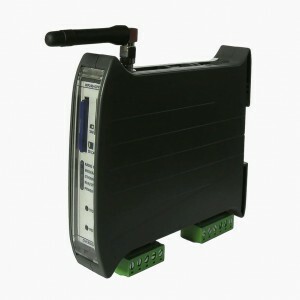 The GSM/UMTS radio modem realizes a permanent data connection to the Internet, sends/receives SMS and manages calls/identification of telephone numbers. Storing large amount of data is possible with the built-in Flash disk and the two additional disks using SD-card and USB memory stick. The TCP/IP library functions, client and server, allow the realization of systems that exchange information over the Internet. Standard protocols and CoDeSys libraries for the direct handling of serial and Ethernet ports allow data exchanges and conversions between different protocols.